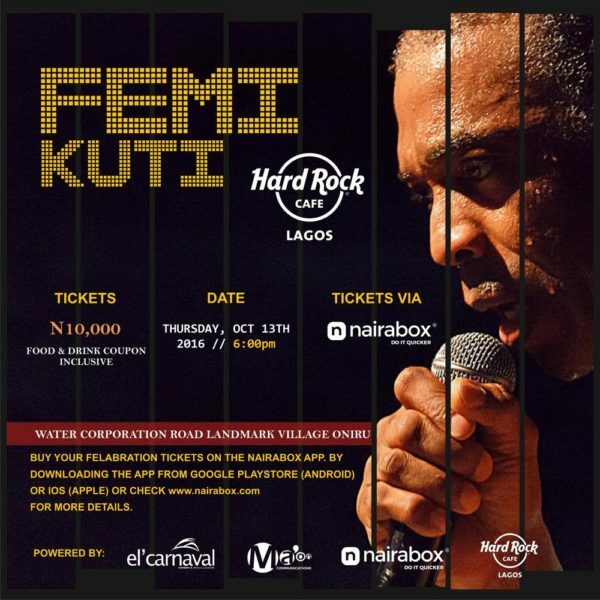 Hard Rock Café, El Carnaval, Ma’on Communications & Naira Box bring you “Femi Kuti Live at Felabration” Tonight! Hard Rock Café, El Carnaval, Ma’on Communications & Naira Box bring you "Femi Kuti Live at Felabration" Tonight! 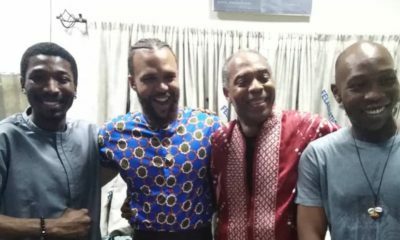 This October, as part of the 15th edition of Felabration, Hard Rock Café will be hosting the four-time Grammy Nominee and son of the legendary Fela Anikulapo Kuti, Femi Kuti as he will be performing in honour of his father. The Afrobeat Legend, popularly known for hit songs such as Beng Beng Beng, They Will Run, Scatta Head and more is set to thrill the crowd with his most electrifying and stimulating performance yet. 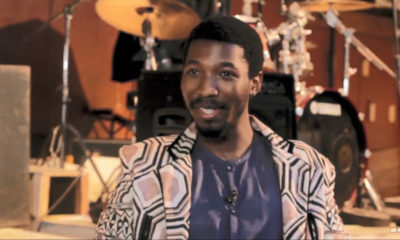 Hosted by Olisa Adibua, the show promises to be the best yet as it will the first time Femi Kuti will be engaging in a tour for Felabration which is an annual celebration of Fela Anikulapo Kuti as well as the first Felabration to take place in Hard Rock Café, Lagos. “We are proud to be part of this remarkable event that celebrates a true born Nigerian Icon and happy to say that Hard Rock Café has become the musical hub for Lagos”– Kersi Marker, General Manager, Hard Rock Café Lagos.